Petrakis P.E. (in corporation with D. Stamatakis) (2007) “Investments’ Evaluation” (in Greek), Published by P.E. Petrakis. Petrakis P.E. (2002) "Financial Management and Banking Economics: Risk and Investment Evaluation ", A’ Volume, (in Greek), Publisher P. E. Petrakis, Athens. Petrakis P.E. (2002) " Financial Management and Banking Economics: Financial and Banking System”, B’ Volume, (in Greek), Publisher P. E. Petrakis, Athens. Petrakis P.E. (2002) "Financial Management and Banking Economics: Banking Economics", C’ Volume, (in Greek), Publisher P. E. Petrakis, Athens. Petrakis P.E. (2002) “Exercises in Financial Management and Banking Economics” (in Greek), D’ Volume, Publisher P. E. Petrakis, Athens. Petrakis P.E. (2001) "Bank Management Strategies", (in Greek), Open University Publications. Petrakis P.E. (1996) Scientific Supervision of the book “International Financial Markets”, (in Greek), J.H. Giddy, Papazissis Publications, Athens. Petrakis P.E. 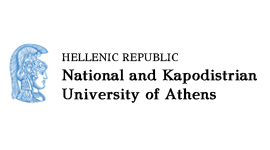 (in corporation with P. Alexakis) (1990) "The Greek Finance and Credit System within the frames of Domestic, European Community and other International Developments: Financial Tools and Case - Studies", (in Greek), Papazissis Publications, Athens. Petrakis P.E., Alexakis P. (1988) "Commercial and Development Banks", (in Greek), Papazissis Publications, Athens. Petrakis P.E. (1985) “The Application of Imports – Exports Tables for the Analysis of the Characteristics of Greek Economy and Industry”, (in Greek), Athens, Ministry of Treasury, Monograph, 262 p.
Petrakis P.E. (1985) "Development Finance", (in Greek), Papazissis Publications, Athens.